But little does he realised that green tea does contain caffeine too, though the amount is much lesser compared to those in coffee. 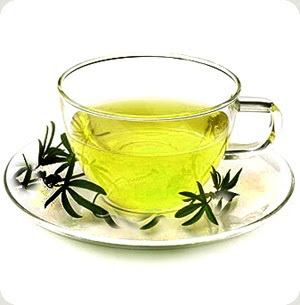 However green tea is much more beneficial to our body as they contains lots of antioxidants which made it alright to drink as much as you want.The length of infusion with hot water also reduces the caffeine intake using the same leaves.The younger the tea leaves, the more caffeine it contains! Green tea teabags also contain more caffeine than the loose green tea leaves.It is important to remember not to use boiling water to prepare green tea as it would destroy the valuable therapeutic compounds found in the tea. yes it has! so do control ur consumption especially at the late noon and evening!